Pompeo and the state of State — United States Studies Centre “all in disorder and confusion”. Two hundred years later, Mike Pompeo will confront a similar prospect. Following a favourable recommendation from the Senate Foreign Relations Committee, Pompeo's confirmation as America’s chief diplomat now looks even more certain when the full Senate decides on his nomination. If he does get confirmed, he will inherit a State Department that has seen calls for drastic cuts to its budget, a mass-exodus of career diplomats, vacancies in virtually all of its senior positions, and widespread reports of plunging morale. He will also take office at a time when multiple events are coming to a head: the fate of the Iranian nuclear deal, a possible presidential summit with North Korea’s Kim Jong Un and a potential trade war with China. Pompeo’s appointment would have several significant implications for US foreign policy. As his secret trip to North Korea demonstrated, Trump clearly trusts him. Because of his relationship with the president, Pompeo stands a good chance of elevating the role of diplomacy and significantly boosting morale at the State Department. And due to their public alignment on key policy issues and Trump’s apparent trust of Pompeo, his confirmation as Secretary of State would further embolden the more hawkish elements within the administration, but also could potentially temper some of the president’s more impulsive actions. Pompeo came to power on the wave of the Tea Party Republicans, and he became known for his aggressive partisanship while serving on the House Select Committee on Benghazi that, after more than two years of investigations, found no evidence of wrongdoing by Secretary of State Clinton. Prior to his appointment by Trump to lead the CIA, Pompeo served as a three-term Republican congressman from Wichita, Kansas. A West-Pointer who graduated first in his class, served five years in an Army cavalry unit, and attended Harvard Law School before embarking on a business career, Pompeo was first elected to Congress in 2010. Pompeo came to power on the wave of the Tea Party Republicans, and he became known for his aggressive partisanship while serving on the House Select Committee on Benghazi that, after more than two years of investigations, found no evidence of wrongdoing by Secretary of State Clinton. It was his tough and partisan stance that endeared Pompeo to Trump, who then nominated Pompeo to run the CIA shortly after his election in 2016. Pompeo’s public statements on Iran, China, North Korea, climate change, and counter-terrorism are in line with the president’s. But on other issues, most notably on Russia, Pompeo has taken a stronger line than the president. He has pledged to counter Russian assaults on western democracy, advocated for a more meaningful punishment of Moscow’s advances in Ukraine and in Syria, and after some prevarication called out Russian interference in America’s 2016 presidential election. On all of this he has been careful not to get too far out in front of the president, but because of Trump’s fondness for him, he has been able to carve out a separate position without yet having Trump publicly undercut him. This matters greatly for the role he is likely to step into. 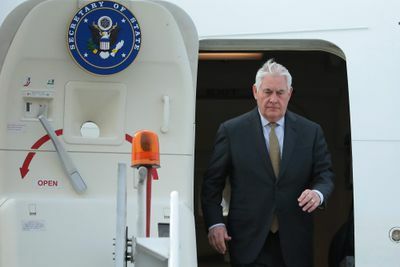 In addition to acting as America’s chief diplomat, the US Secretary of State manages the State Department and has the potential to serve as the president’s main foreign policy advisor. But success requires different skills for these different roles. As the noted international relations scholar Robert Jervis has observed, a secretary draws his or her power not from the Constitution or any laws, but from five sources: the president’s backing, the expertise, advice and support of the career officials at State, collaboration with the heads of other departments and agencies, favorable press, and the perceptions of competence by foreign counterparts. These sources of power build on each other and can either enhance or undermine a secretary’s power. This was particularly pronounced during Rex Tillerson’s year-long tenure at Foggy Bottom. Tillerson was unable to speak credibly on behalf of the president or cultivate even the appearance of a close relationship with Trump. He failed to exercise influence on the administration’s polices on key issues, and was unable to get the White House to sign-off on his preferred appointments. State Department employees consistently complained about his cloistered management style, which ignored and demoralised the department’s public servants, and his unwillingness to fight for State’s budget. He proved unwilling to defend the president’s more outrageous positions and his seeming disdain for the diplomatic press corps earned him consistently bad media coverage. Many Washington insiders have already concluded that Tillerson will go down as one of the worst modern Secretaries of State. Here Pompeo has an easy and obvious path ahead of him. As a political insider, Pompeo has worked hard at cultivating good relations with Congress, other Cabinet officials, foreign leaders, and the press. Moreover, his demonstrated ability to ingratiate himself to Trump and his full-throated advocacy for the president’s positions, are likely to make him a much more forceful and credible defender of the administration’s foreign policy. Given these factors, if confirmed, Pompeo has the opportunity to boost morale within the State Department, expand its influence, and serve Trump as a trusted advisor. To do so, he’ll have to push the White House to fill the many vacant diplomatic posts at State and US Embassies around the world, reverse the decision to drastically cut diplomatic and development funding, and figure out how much to run State with his own team or whether he should rely on the traditional structure and bureaus of the Department. He will have to balance earning favourable press coverage without seeming to upstage Trump. Perhaps most critically, Pompeo will also have to determine the optimal balance between spending time with the president and traveling abroad to reassure allies, flesh out hitherto nebulous messages such as the “free and open Indo-Pacific”, and lay the diplomatic groundwork for key policy decisions ranging North Korea to Iran to Syria. Trump’s trust has proven a waning asset for most members of the president’s cabinet and it is unclear how long Pompeo would remain in favour. As a trusted and credible spokesman for Trump, there’s much that Pompeo could do to help dispel the disorder and confusion at the State Department. If confirmed, and as long as Trump does not publicly undercut him, Pompeo’s appointment will correctly be seen – both in Washington and abroad – as elevating the importance of the State Department. Publicly, he’s likely to bring State and the White House into closer coordination and he may be able to articulate a more coherent view of American foreign policy abroad. Privately, if he chooses to do so, he may have the potential to temper some of Trump’s impulses based on Trump’s trust of him. Tillerson was seen as a responsible, if ineffective, policy advocate. Pompeo’s views are much more synced with the president and therefore could result in a greatly enhanced role for the State Department and diplomacy in this administration. Having worked closely with Pompeo over the last year, the Australian government has welcomed news of his appointment with Prime Minister Turnbull saying that for Australia the transition would be “absolutely seamless”. As Secretary of State, he would begin his tenure both empowered to speak on behalf of the president and better able to convey key messages to the president from allies. Of course, Trump’s trust has proven a waning asset for most members of the president’s cabinet and it is unclear how long Pompeo would remain in favour – particularly if he took a stance that either contradicted or was seen to undercut Trump. Thus far, however, Pompeo has shown himself able to walk that fine line. 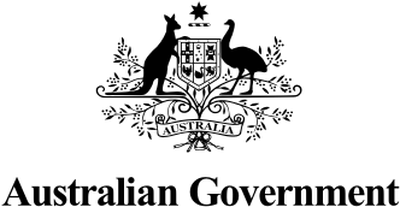 With Pompeo at Foggy Bottom, Australia should expect a more empowered and effective State Department and a more assertive and coordinated policy in Washington.